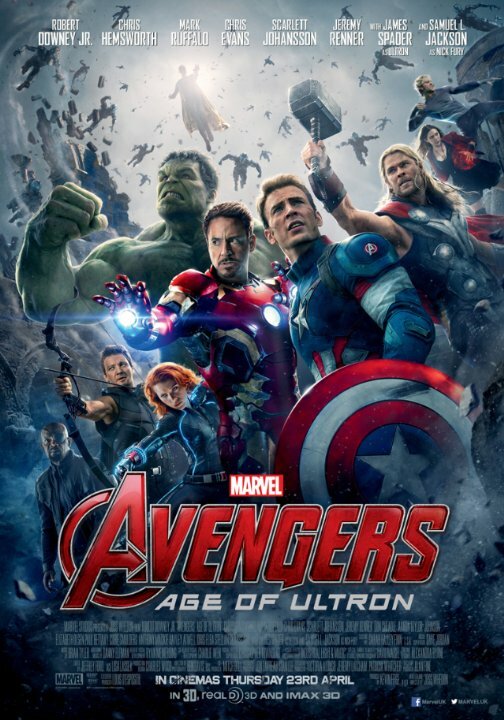 Entertaining Flick Age Of Ultron isn�t as good as the first one, But it�s still filled with a lot of the MCU magic. An entertaining fun flick, though not as good as the first installment, still well done. Especially for the over done and far too many super hero flick. It's enjoyable for what it is, but I'm happy I had a free ticket, I'm tired Hollywood of sequels and re-boots and re-makes, find something original. In 2012, comic book enthusiasts and the average moviegoer alike, witnessed Earth�s mightiest heroes fighting side by side on the big screen for the first time ever. This year�s �Avengers: Age of Ultron� however, did not have the same luxury granted to its predecessor. With the wow factor from the first installment gone, the sequel had to rely on a compelling story in addition to strong character development. Thankfully the Avengers delivered both, and kicked off the summer with a bang. Based on the film�s marketing campaign, one might assume that the movie�s tone was going to be much darker than the first. The film tends to lean more on the humorous side however, with much of the comedic relief stemming from James Spader�s Ultron. Becaue Marvel obviously couldn't be one-upped by DC and here is a great article about all the upcoming films:http://www.businessinside r.com/marvel-movie-announ cement-vs-dc-warner-bros- 2014-10Scroll to the bottom - 30 Superhero films are being released between now and 2020 - as it is now scheduled. The mind boggles - and obviously something is going to give.